body. It is a game of images, situations, feelings, rhythm and in bodying those. Her work is build on fast rhythmical changes of qualities, emotions and Images. The movement language is expressive, fluent, sensual and grounded. 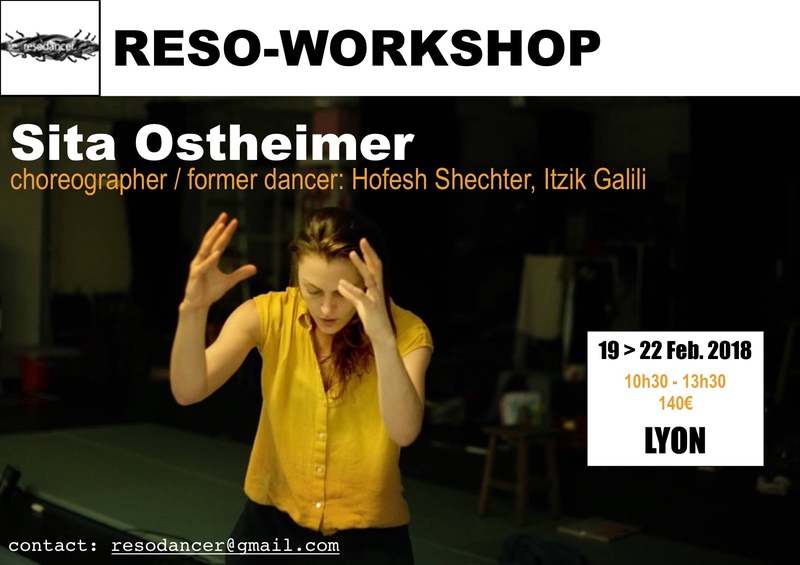 Ostheimer’s collaboration with many choreographers such as Hofesh Shechter and Itzik Galili has influenced her approach to movement, work and life. The unique animalistic movement language that arises from the human instinct is her particular and peculiar signature in dance. If by any reasons, beyond the control of either part, the workshop set out above is cancelled, exclusively for reasons attributable to the organization, it is the obligation of the organization itself to repay the entire amount paid for participation.